My little boy isn’t so little anymore! This week he started 11th grade. I’m not sure if it has fully hit me that we only have two more years left before he heads off to college. It makes me sad, but at the same time, I am so proud to see that he is growing up to be such an amazing young man. This post is sponsored by Mirum. Opinions are 100% my own. 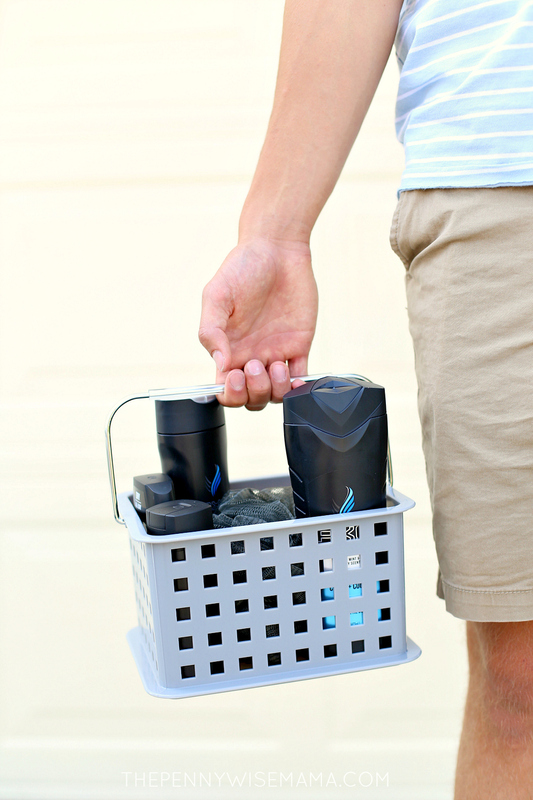 To show him a little love on the first day of school, I made him this simple AXE Back to School Basket containing all of his favorite AXE products: 2-in-1 shampoo + conditioner, body wash, antiperspirant, and deodorant body spray in the popular Phoenix scent. 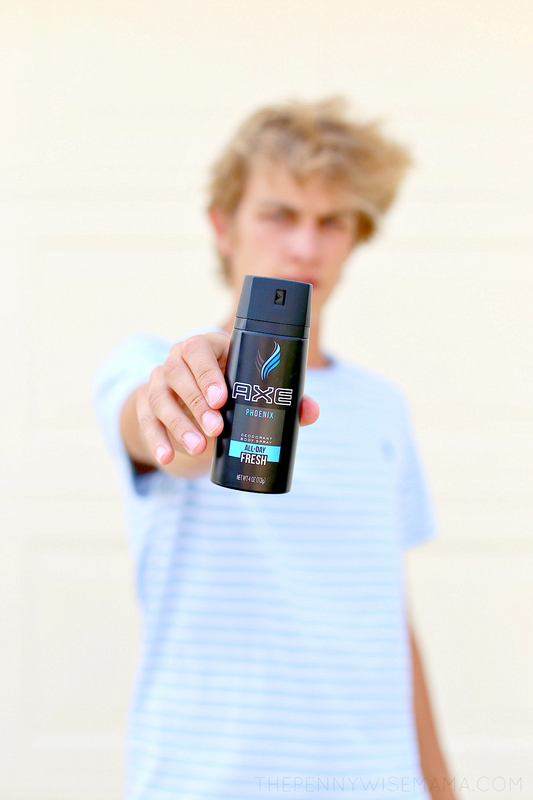 From the time he hit the teenage years, my son has been counting on AXE products to keep him smelling fresh and feeling confident all day long. With the stress of school starting, I knew he would be happy to have some fresh bottles to add to his collection! He has a variety of AXE scents in his collection, and while he loves them all, Phoenix is definitely one of his favorites. With a fruity mixture of lavender, geranium and zesty citrus, it is a classic scent that smells fresh and lasts all day. As a mom, I love that AXE products not only smell great, but they are also affordable. Whenever Kroger has sales or coupons, I make sure to stock up. It’s always nice to have extra bottles to toss in a backpack or sports bag for easy reapplication if needed! 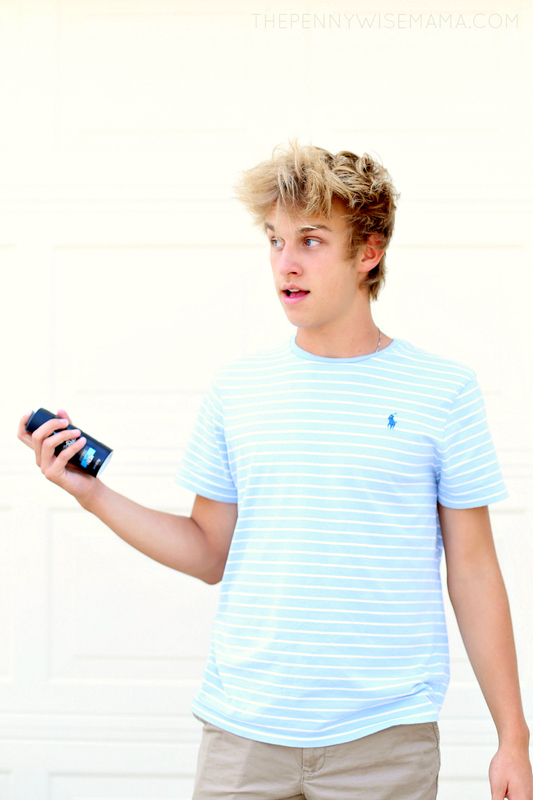 Want to boost your teen son’s confidence as he heads back to school? Give him the tools he needs to stay fresh and confident on the first day and throughout the rest of the year with AXE grooming products! It’s easy to #InspireHisStyle at your local Kroger, thanks to these great deals. Buy ONE (1) Axe Body Spray product, get ONE (1) Axe Body Wash product FREE (excludes trial and travel sizes). 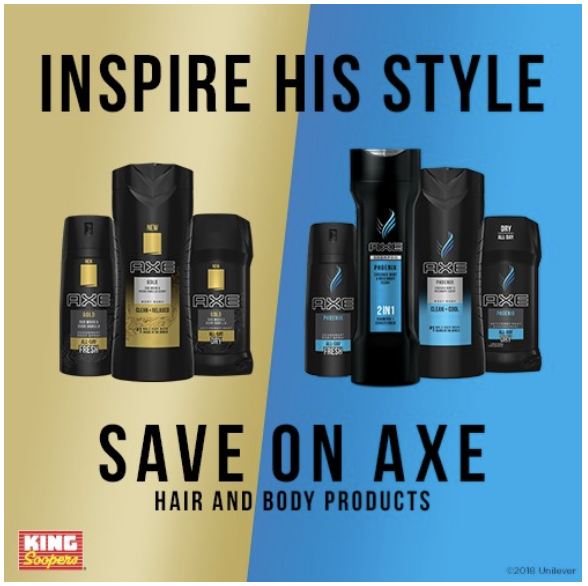 Save $1 on any ONE (1) Axe Hair product (excludes trial and travel sizes). 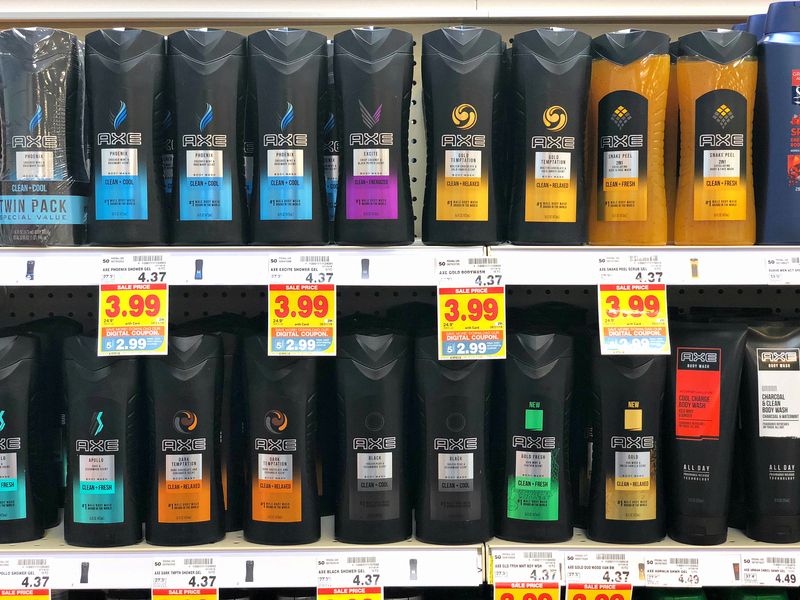 Save $1 on any ONE (1) Axe Deodorant or Antiperspirant product (excludes trial and travel sizes). CLICK HERE to load the coupons to your Kroger, Fred Meyer, King Soopers, Fry’s or Ralphs loyalty card.